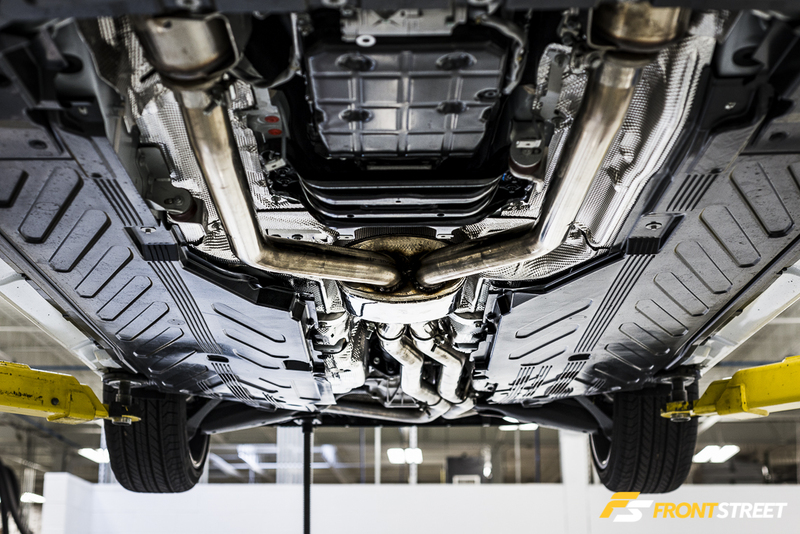 The introduction of European sport compacts like the Volkswagen GTI-VR6 and Audi A4 initiated a storm of aftermarket support for the German passenger vehicles. 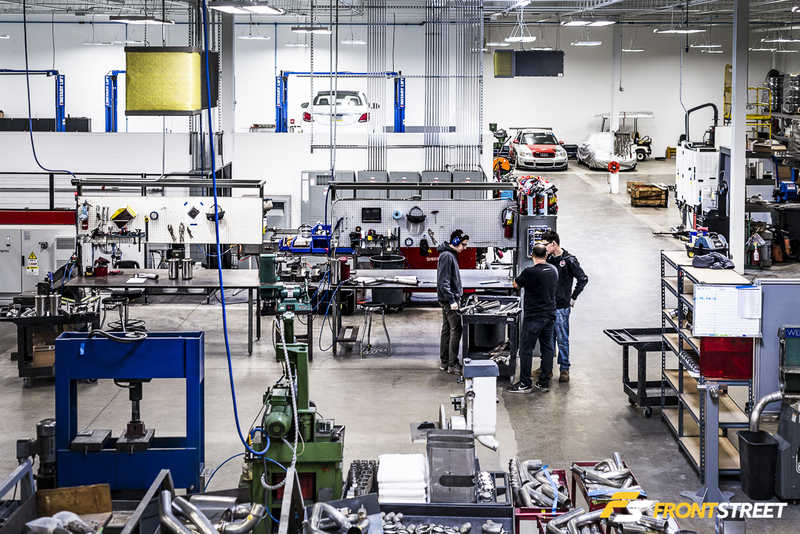 Shops began catering specifically to these consumers. 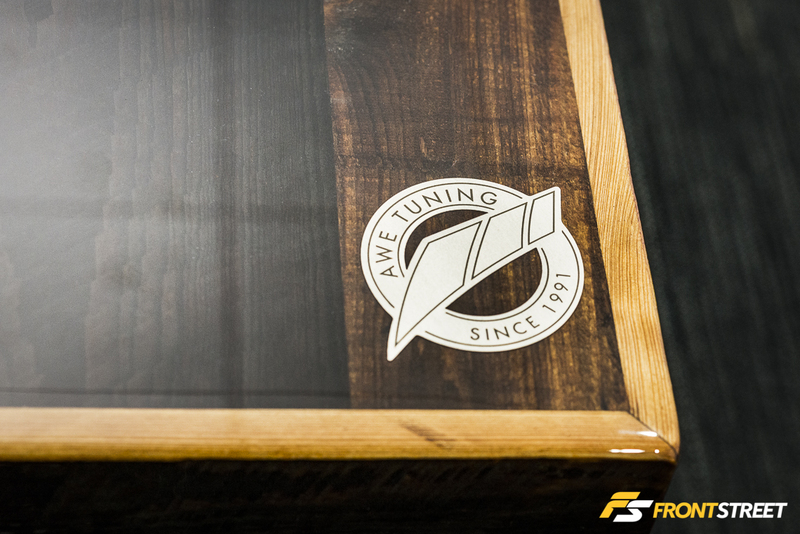 One of the pioneers in this industry boom, AWE Tuning, has always had one goal to “Unlock Performance”. 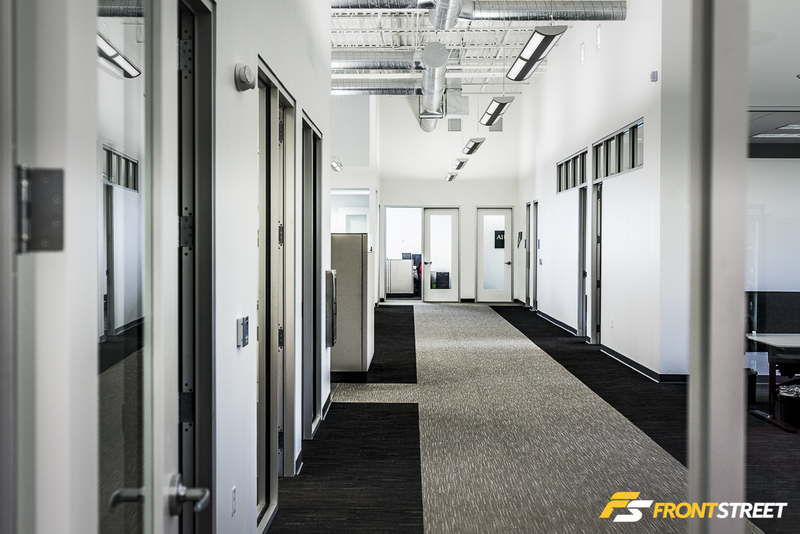 Founded in 1991 as Air and Water Enterprises, over 25 years the company has evolved into a state-of-the-art 32,000 sq. 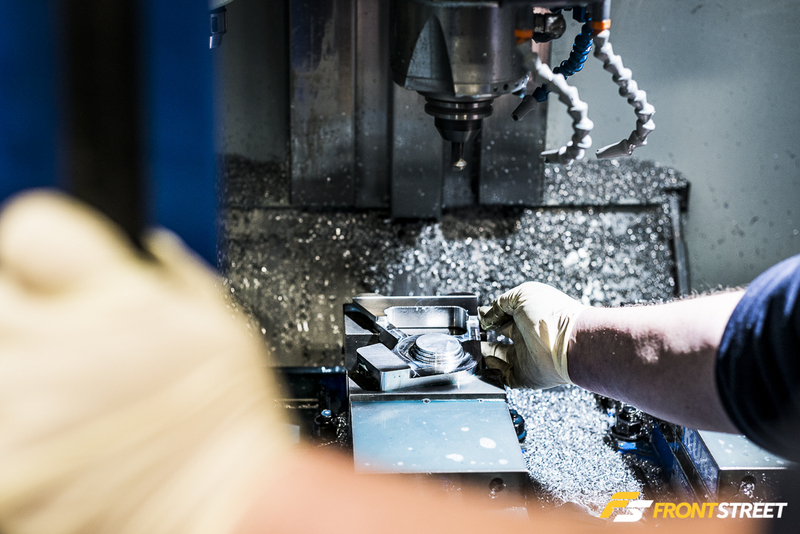 ft. research, design, development and manufacturing facility. 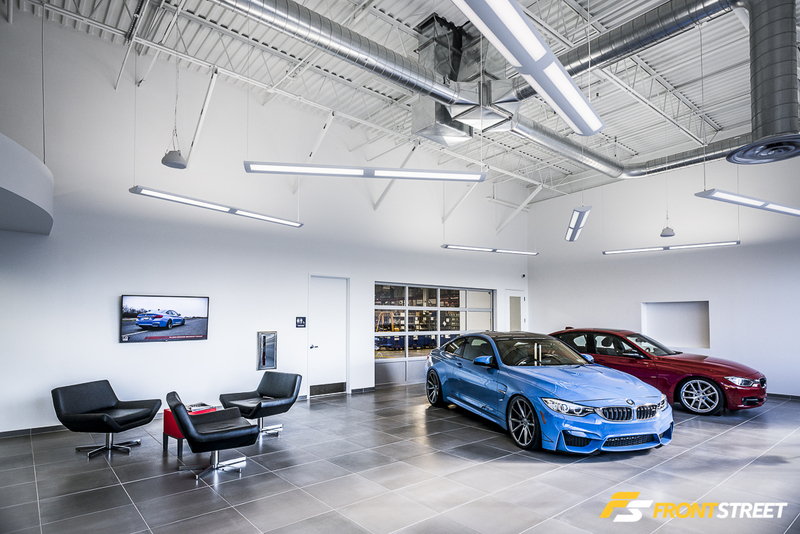 Recently expanding into the BMW market – adding 41 products to their 500+ SKU catalog – the AWE Tuning showroom houses their F82 M4 and F30 3-series demo cars. 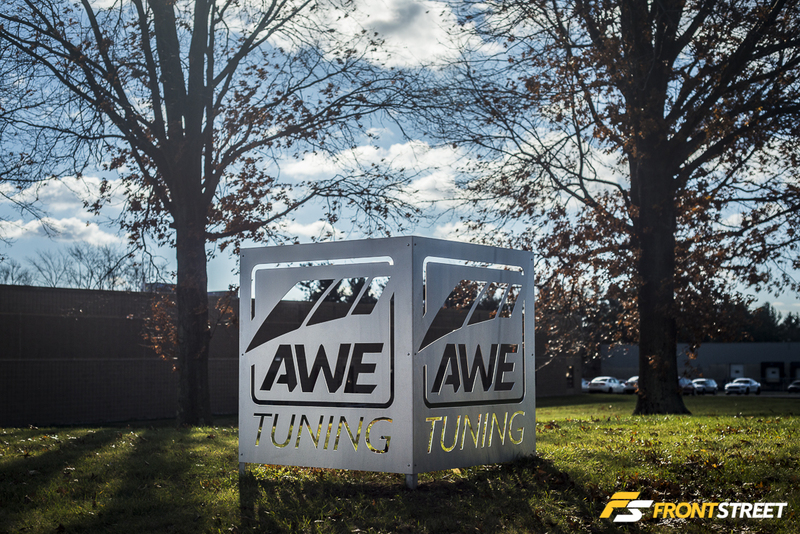 Each equipped with AWE Tuning performance products. 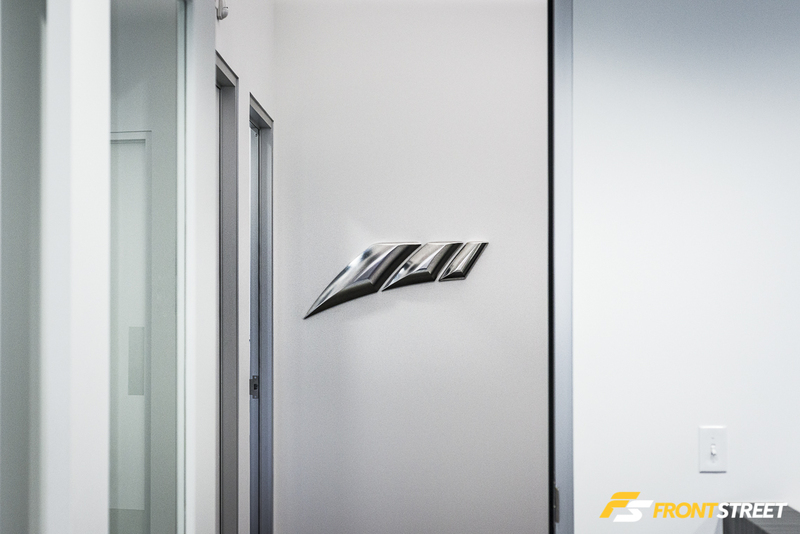 Entering into their office space, a metal representation of the company logo hangs as a greeting to visitors. 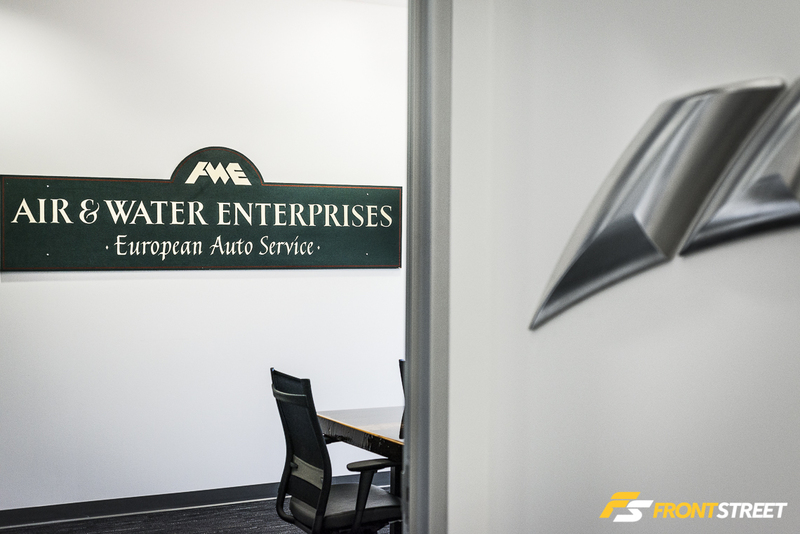 For a bit of nostalgia, their private conference room contains AWE’s original exterior sign. 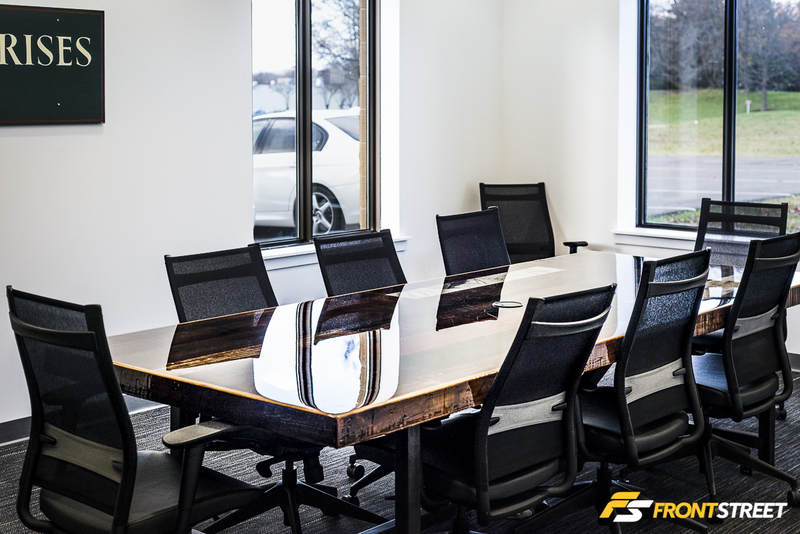 As a physical representation of the company’s hand made yet forward thinking mindset, their custom table in the conference room combines rustic wood elements with actual 3D drawings of actual AWE parts. 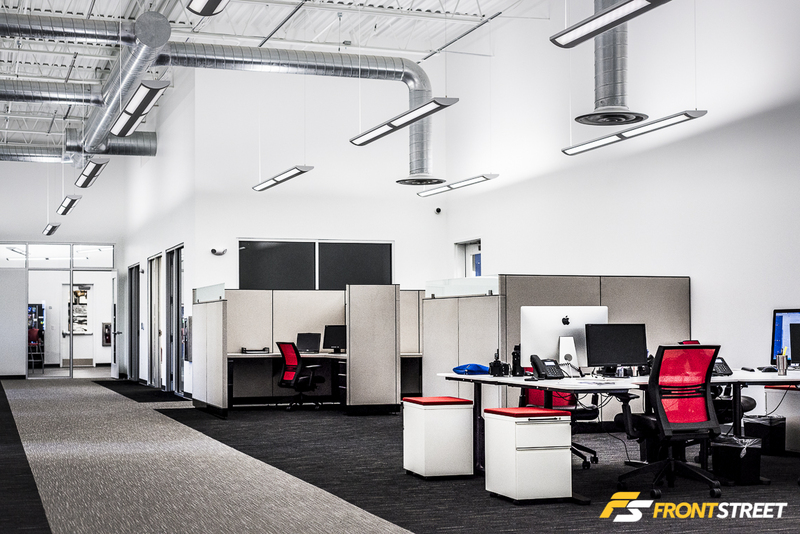 The brand new modern office area is filled with desks and computers to assist the sales, marketing, customer support, and engineering departments stationed in this building. 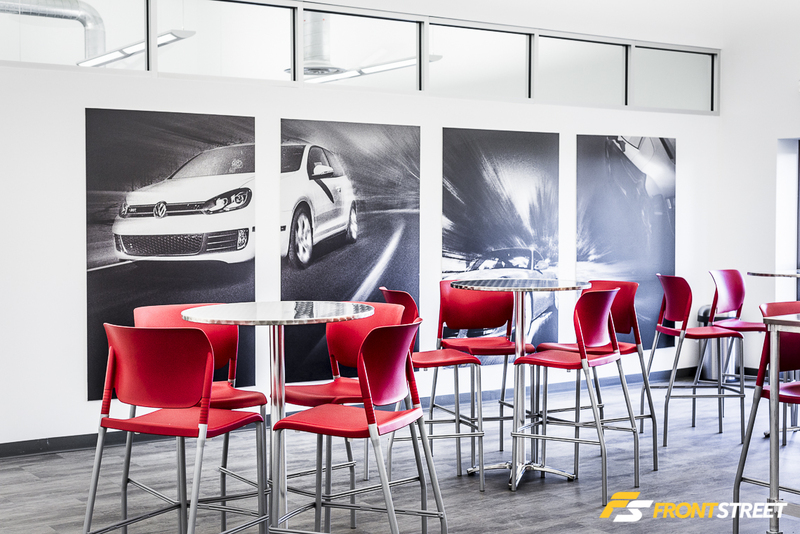 The employees have a devoted break room area containing a large 4-panel set of automotive prints, which are also represented as the background of their website. 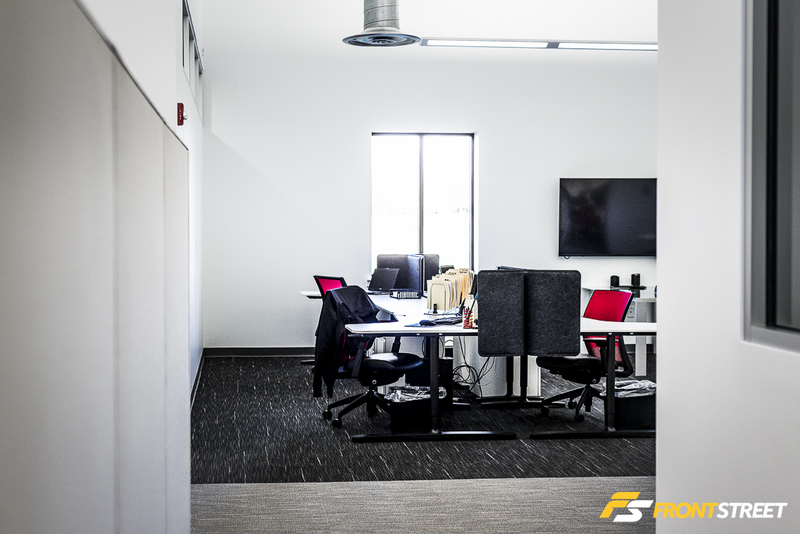 Passing through a doorway in their lobby grants this stunning view of their Research and Development area. 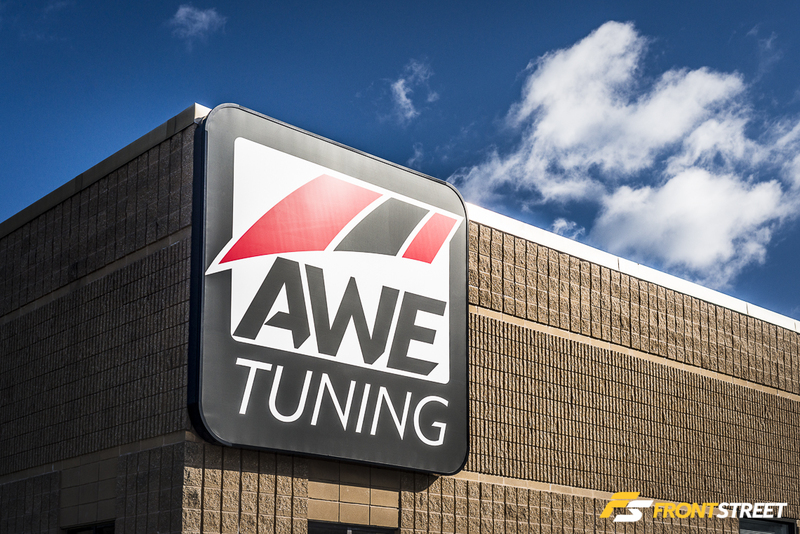 AWE Tuning is not a shop, so you won’t find any greasy engine rebuilds taking place here. 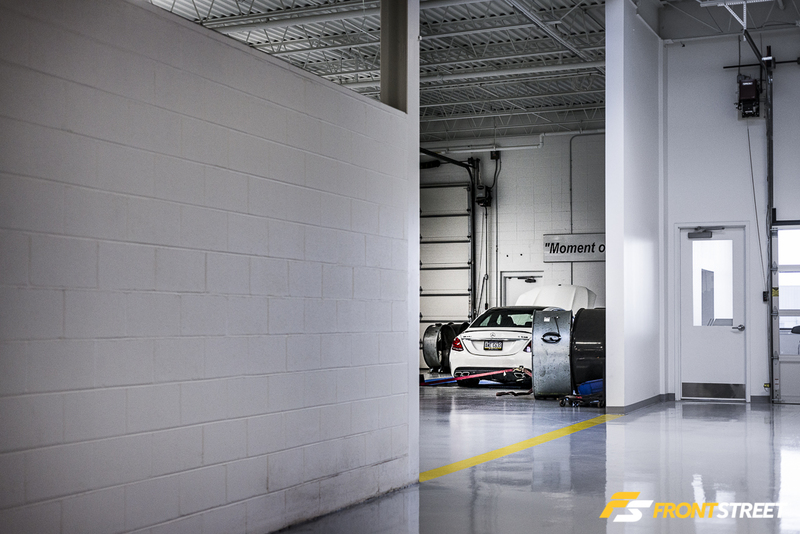 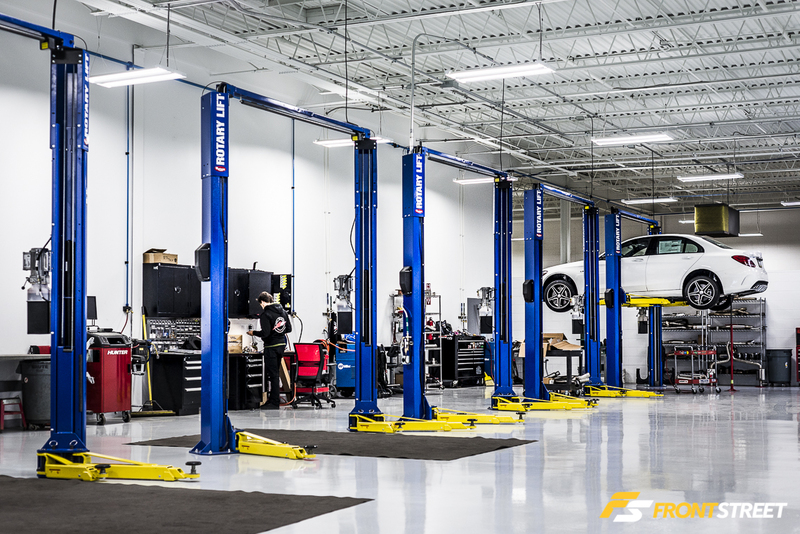 Instead, these spotless bays are used for the 3d scanning, engineering, mock-up, and final fitment check of all new products in the AWE lineup. 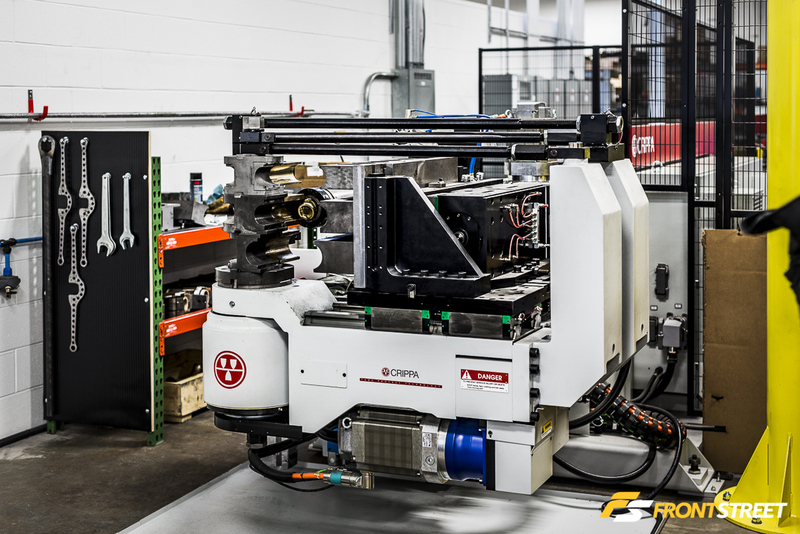 We were offered the first glimpse at this full C450 system, with AWE’s drone-free 180 Technology, being created before production begins. 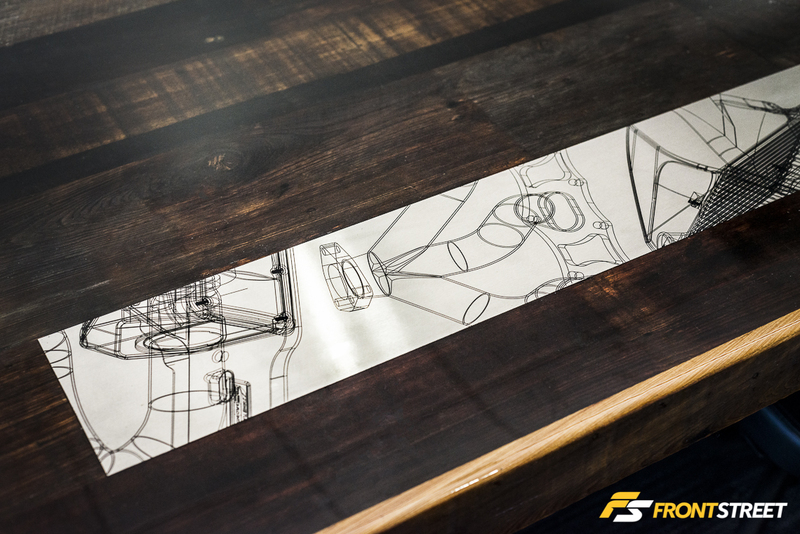 Be on the lookout for the entire Mercedes-Benz C-Class product line to drop soon! 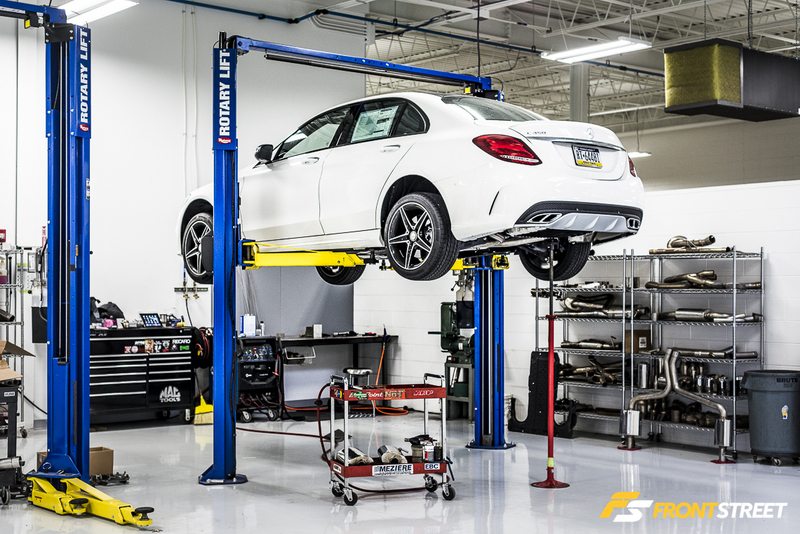 The company’s growth plans include moving into additional makes, case in point this flagship AWE Tuning C63S AMG going under the knife as the first development canvas for their Mercedes-Benz line. 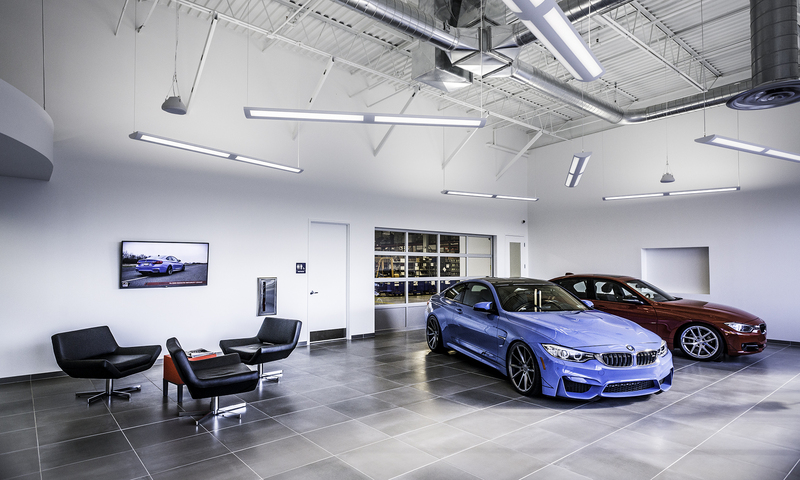 Similar to their BMW 3-series applications, when AWE moves into a new market they create products for many models in the range. 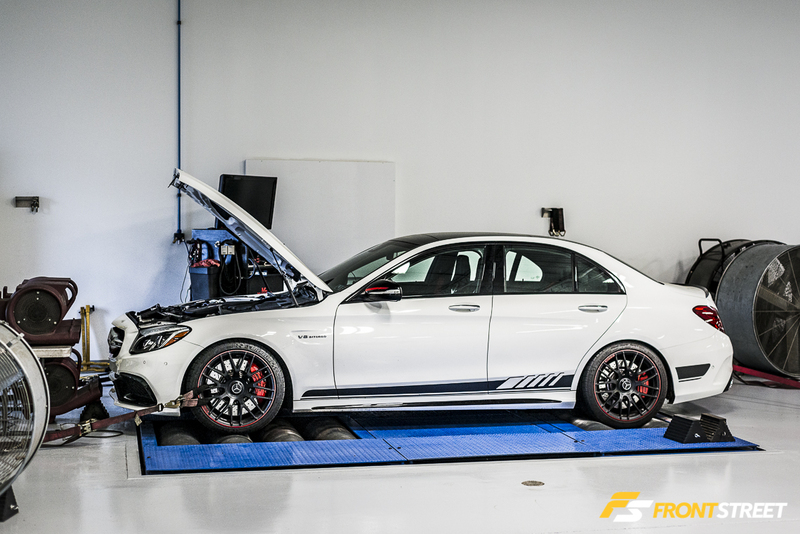 This C63S AMG occupied their dyno testing area both before and after the product is created, for proven results. 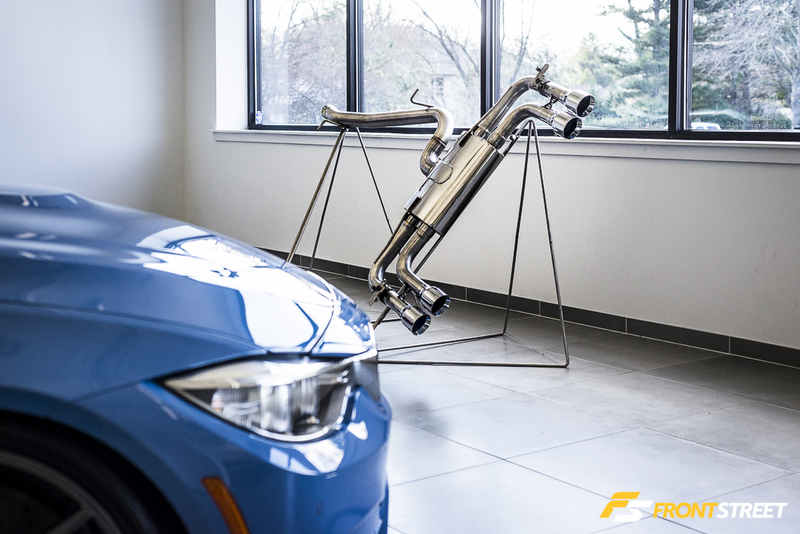 Each AWE piece is dyno tested to be sure it will “Unlock Performance” and live up to the company standard of an aggressive yet clean exhaust tone. 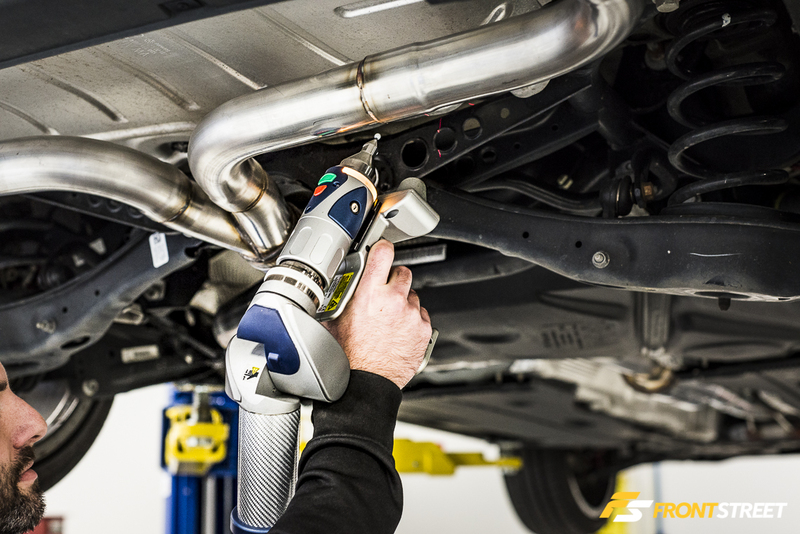 While some models can be borrowed for R&D, AWE Tuning purchases many of the vehicles where a more assertive catalog will be required, like this AMG, since ongoing first hand access is key to the R&D process. 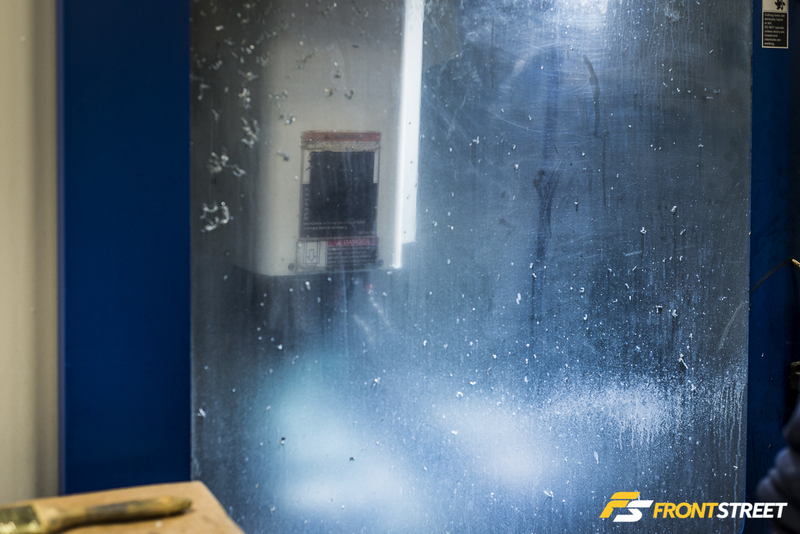 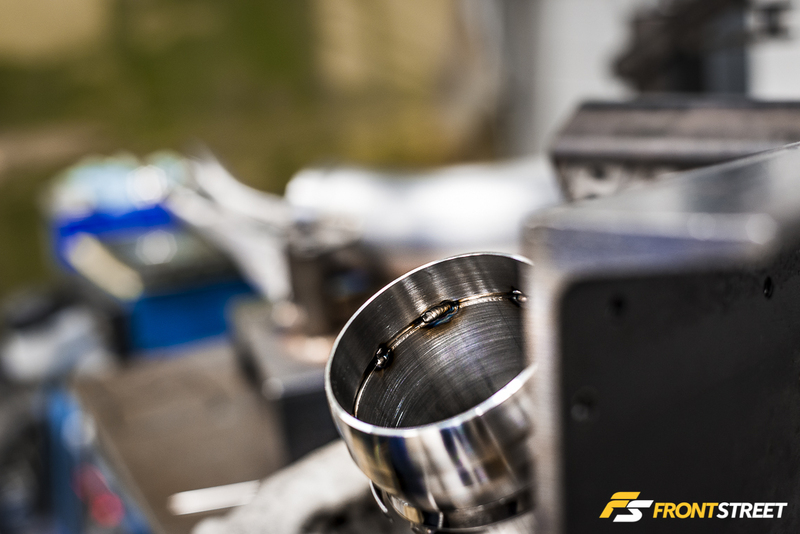 The majority of their new facility is used for the complete manufacturing of their performance products. 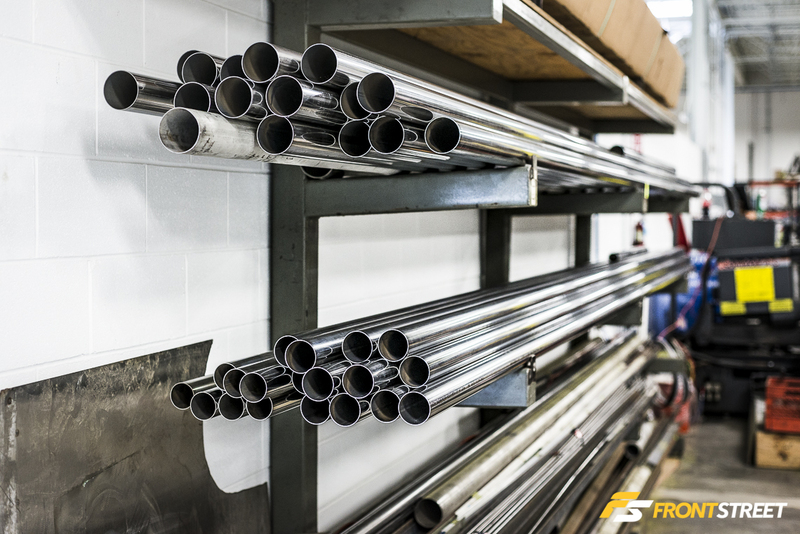 The various diameters of raw T304 Stainless Steel material are neatly organized on shelving. 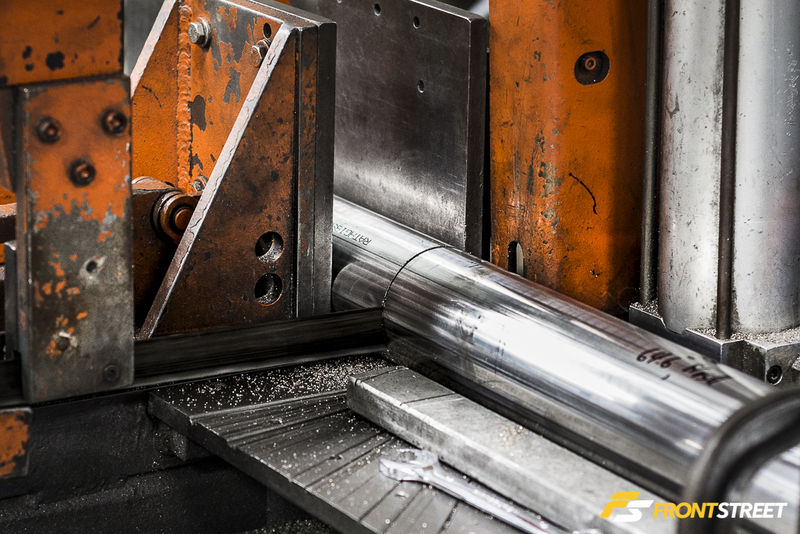 While they await the automated saw which will cut the tubing down to the appropriate length. 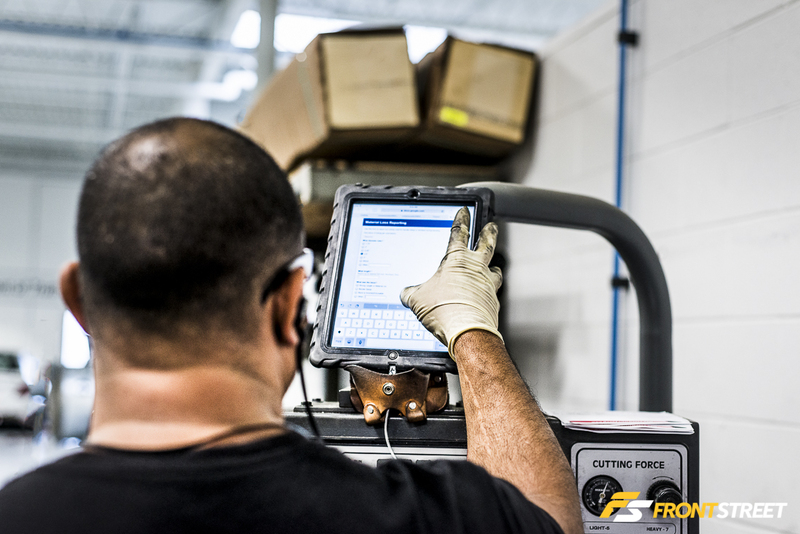 Each station in the production process is equipped with an iPad to streamline the information and data needed for manufacturing. 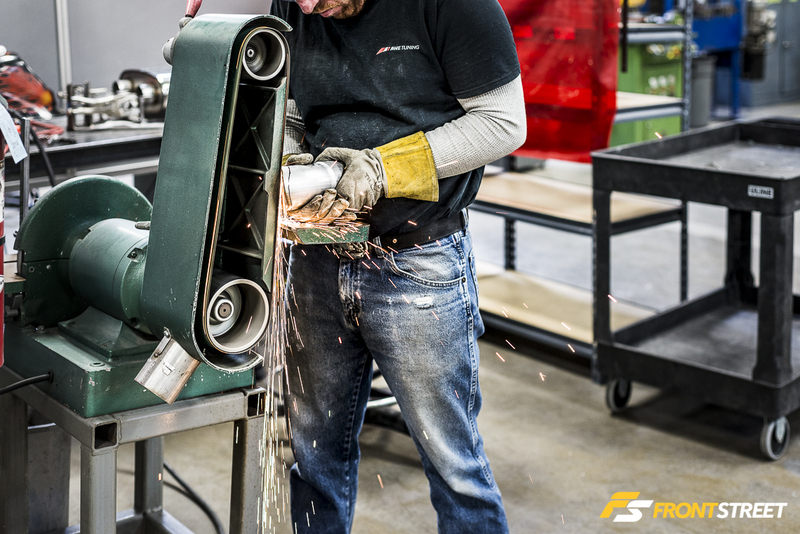 These tablets contain everything from production schedules to step-by-step instructions showing the creation of each piece in their catalog. 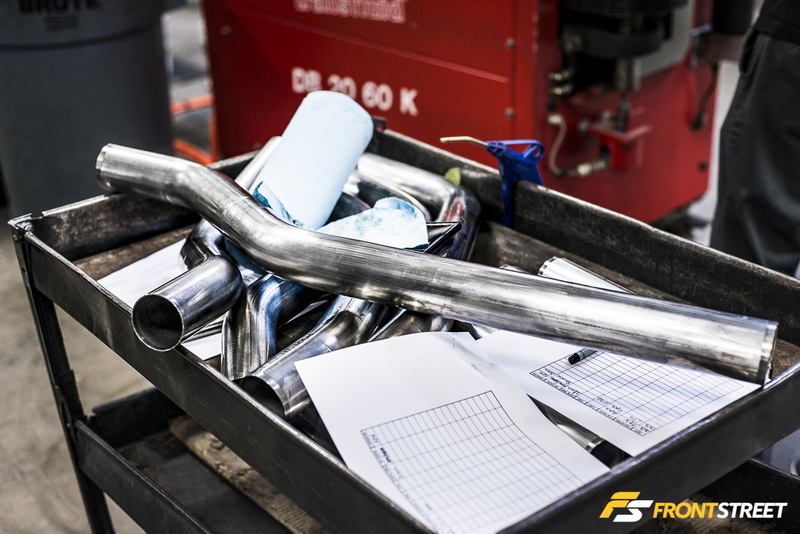 The trimmed tubing is then CNC mandrel bent on one of their large tube bending machines according to the detailed production specs. 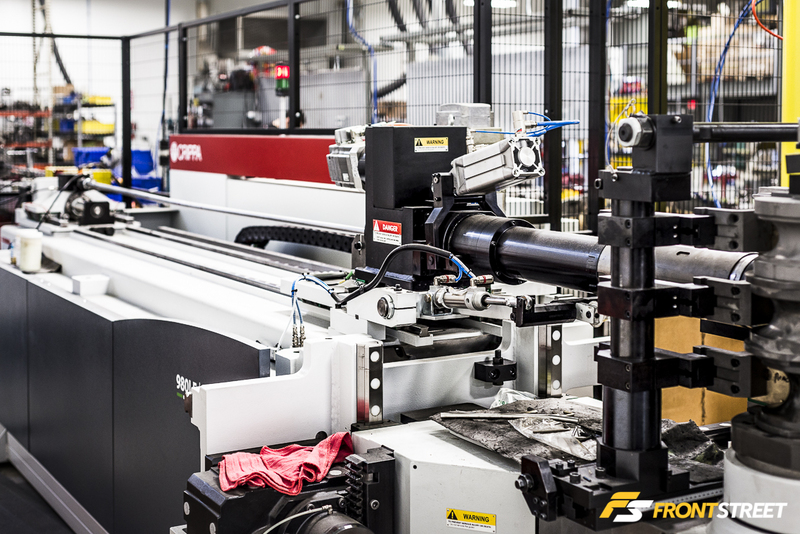 With a glimpse toward the future of tube bending, their Crippa machine is a fully automated CNC tube bender capable of making numerous adjustments in seconds using only data inputs. 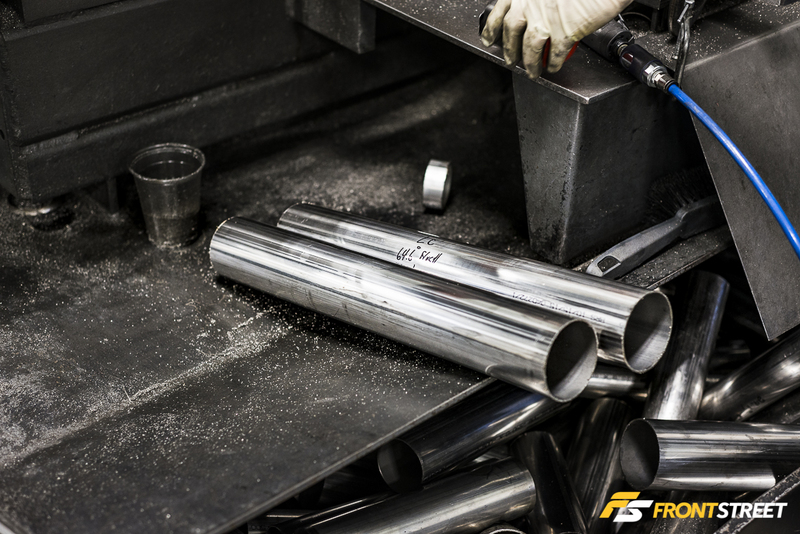 These perfectly bent tubes are now ready for their next step of production. 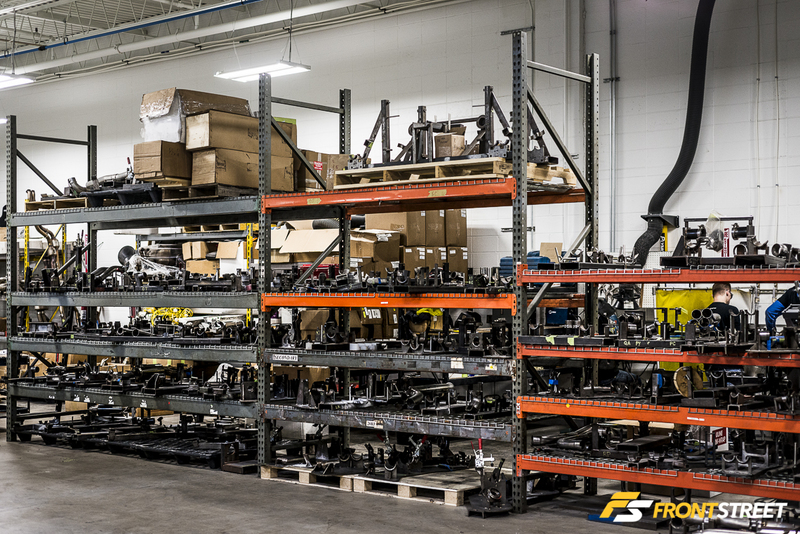 Shelves organize the fixtures or “jigs” used in production. 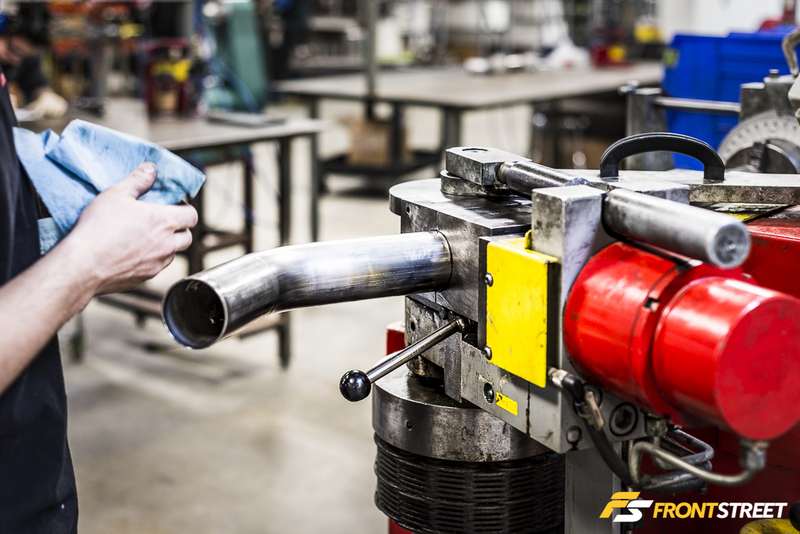 These hold piping and mufflers in their correct location throughout fabrication to maintain consistency and accuracy. 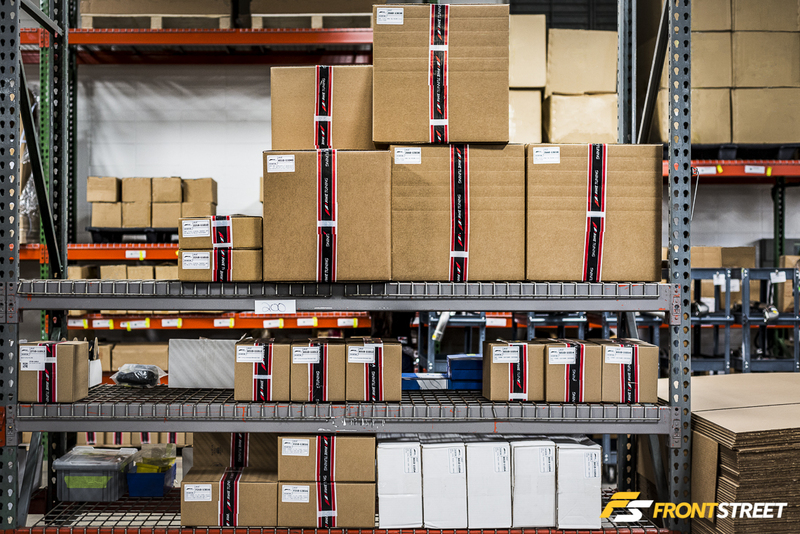 This allows AWE to guarantee a perfect fit on every one of their products. 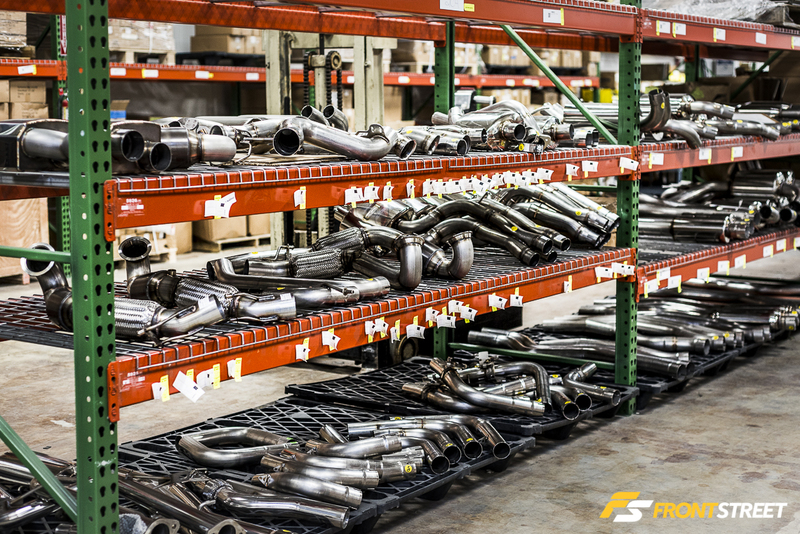 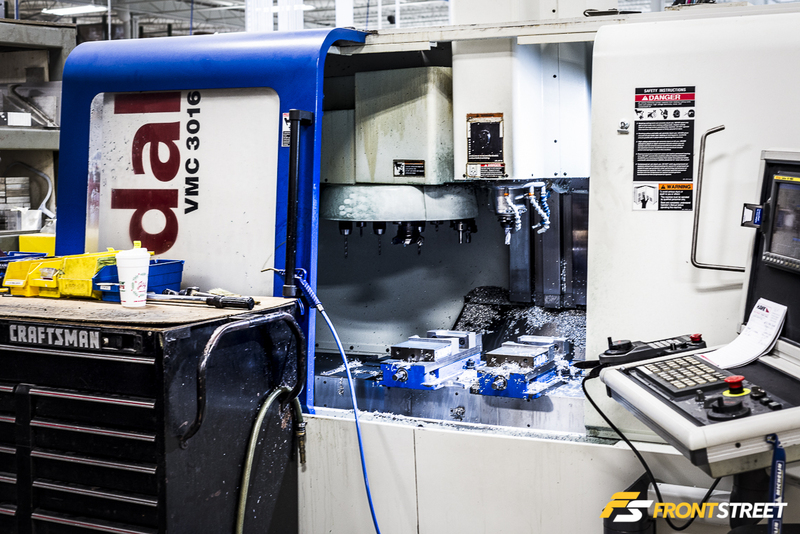 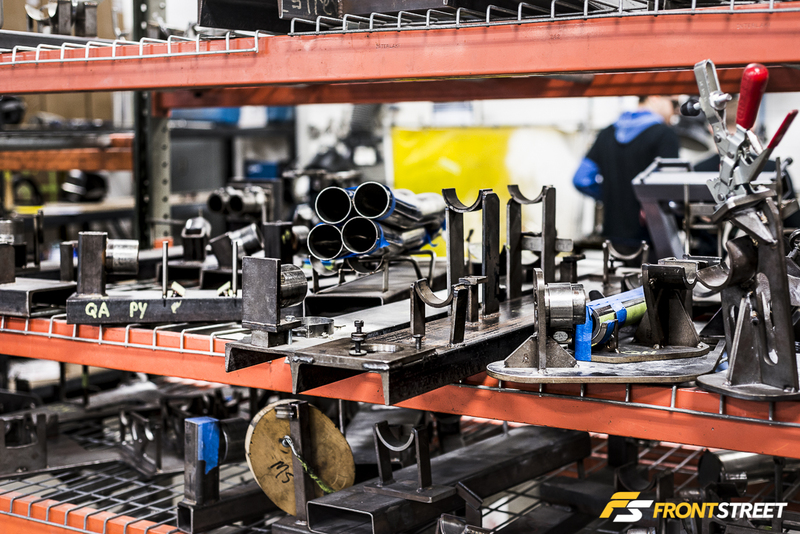 The workstations contain all of the tools necessary to assemble portions of their exhaust systems. 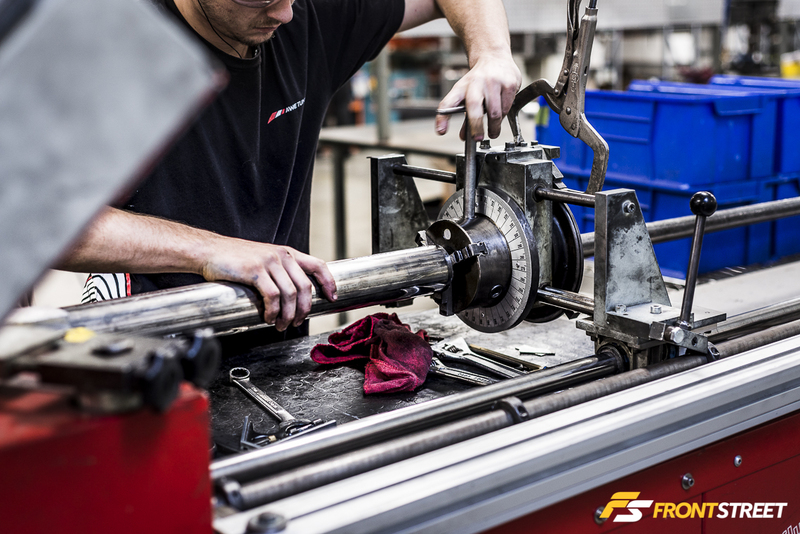 This step also checks for overall fitment within the fixture before the assembly is taken to fabrication. 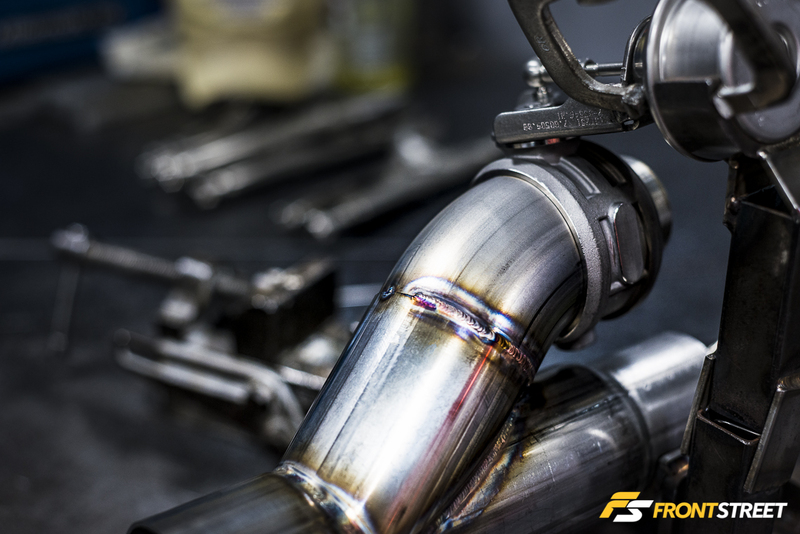 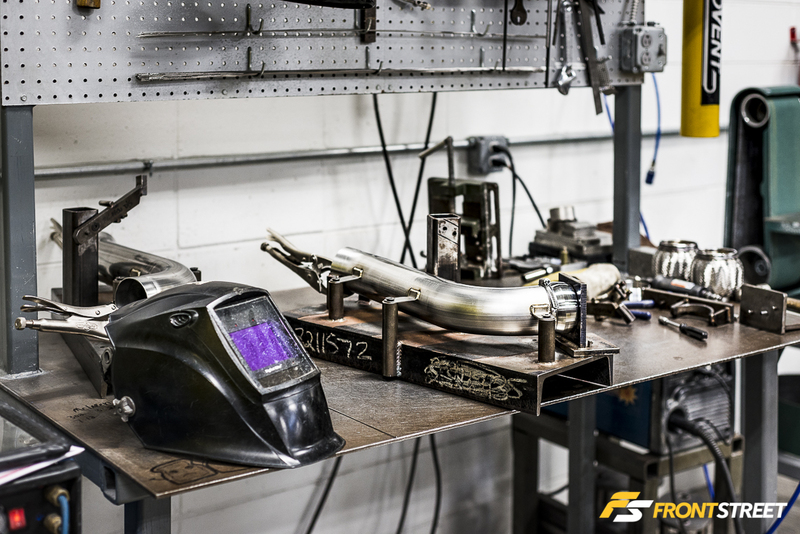 Each exhaust portion passes through AWE’s various fabrication tables where their TIG-welding experts combine all of the different elements into a completed exhaust piece. 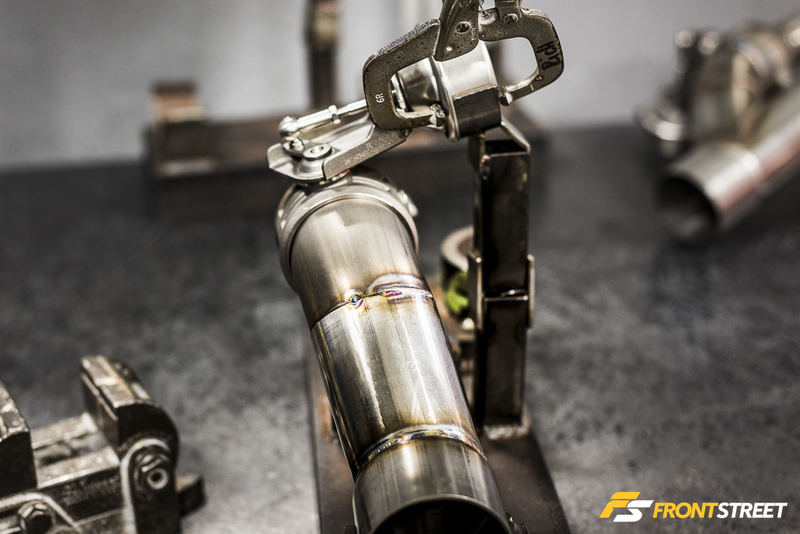 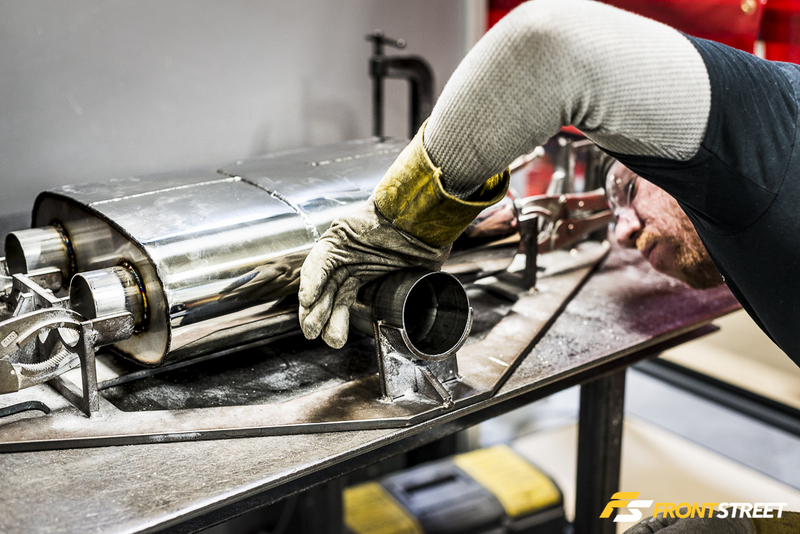 Pictured here, a small piece of a McLaren MP4-12C exhaust is prepared for TIG-welding, to create a strong union inside of the tubing. 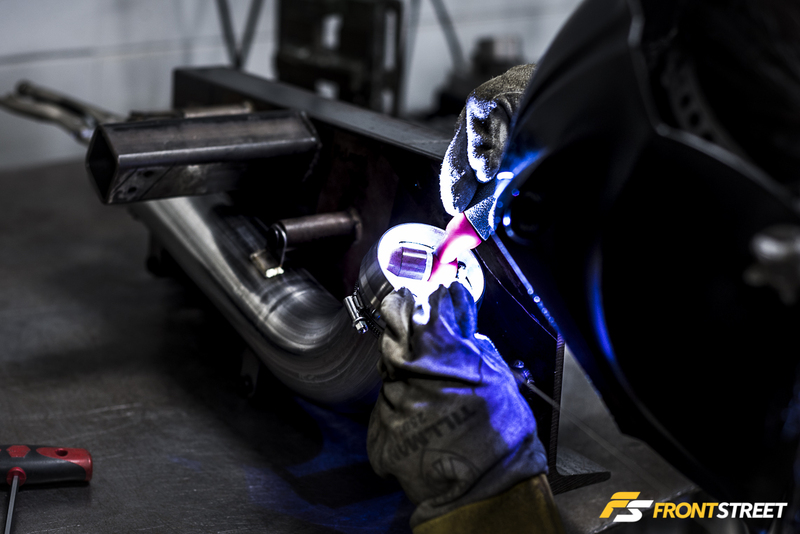 The end product will include welds spanning the entire circumference of the piece. 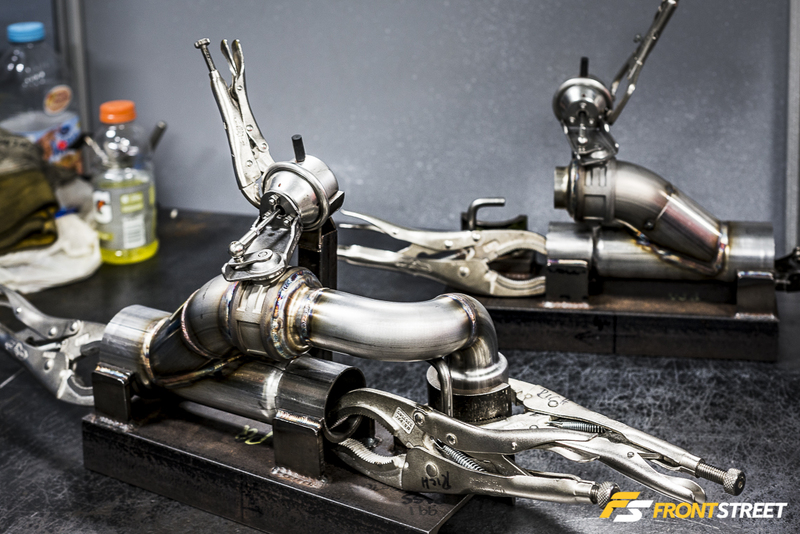 The welds will then be ground down smooth to support exhaust flow and final performance of the system. 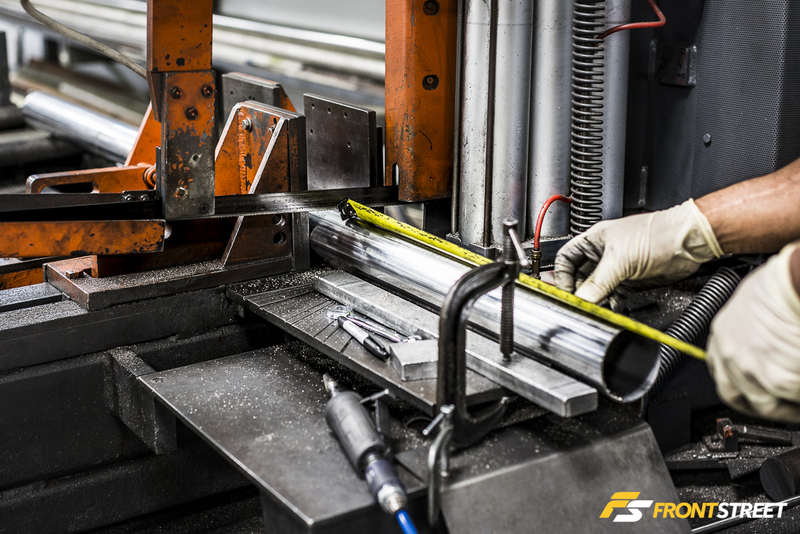 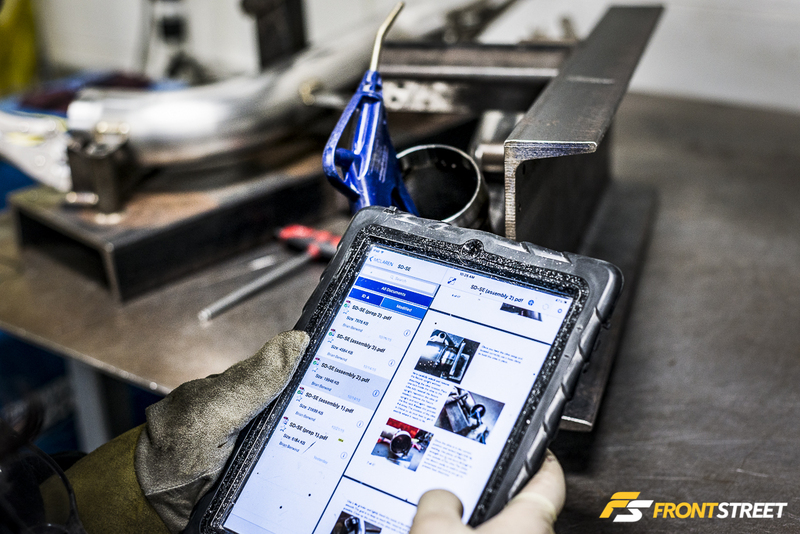 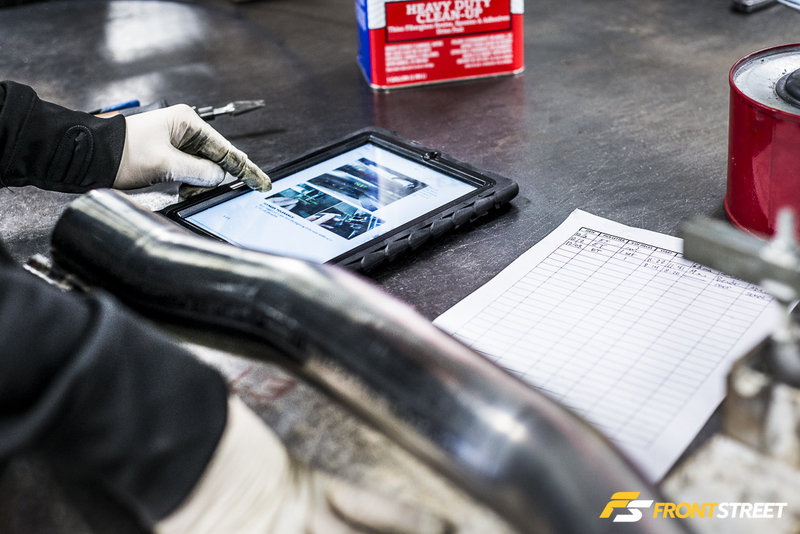 Not only used for instructional reference, a network of iPads host the assembly data and completion progress of any particular part number throughout its production journey. 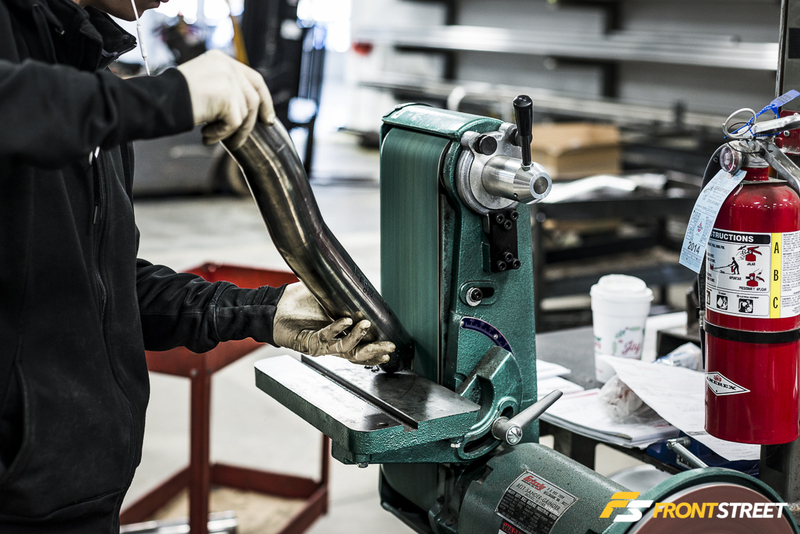 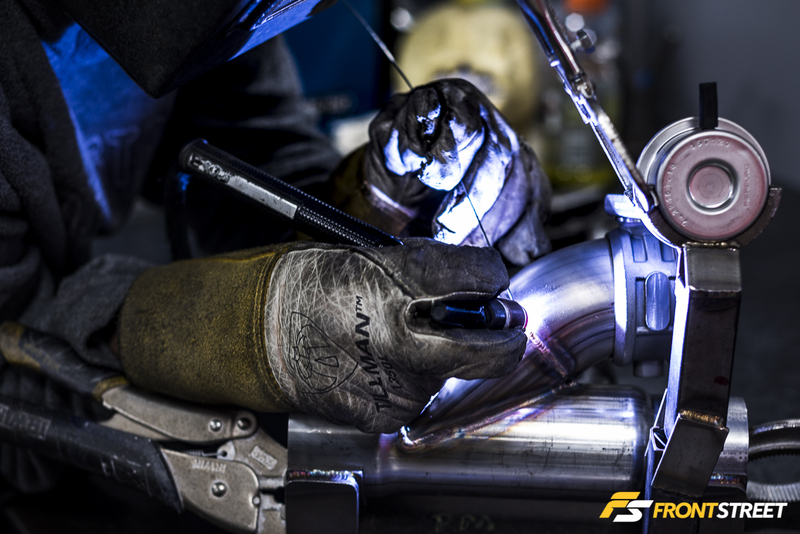 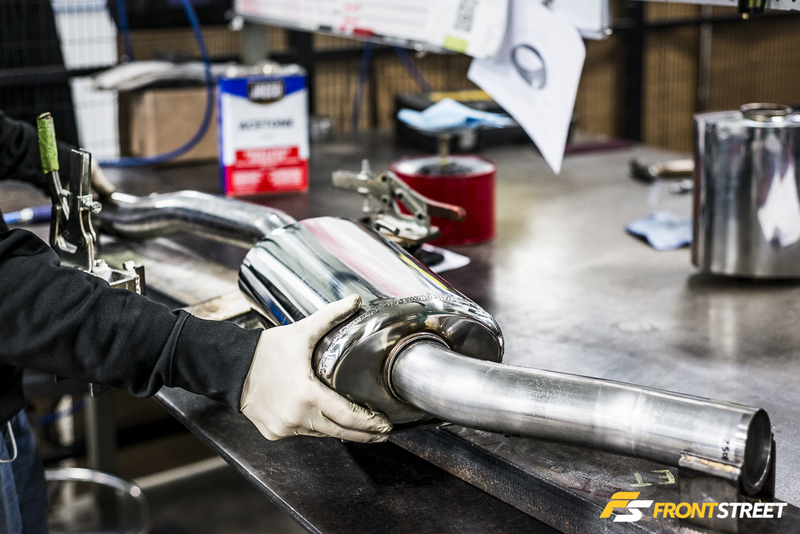 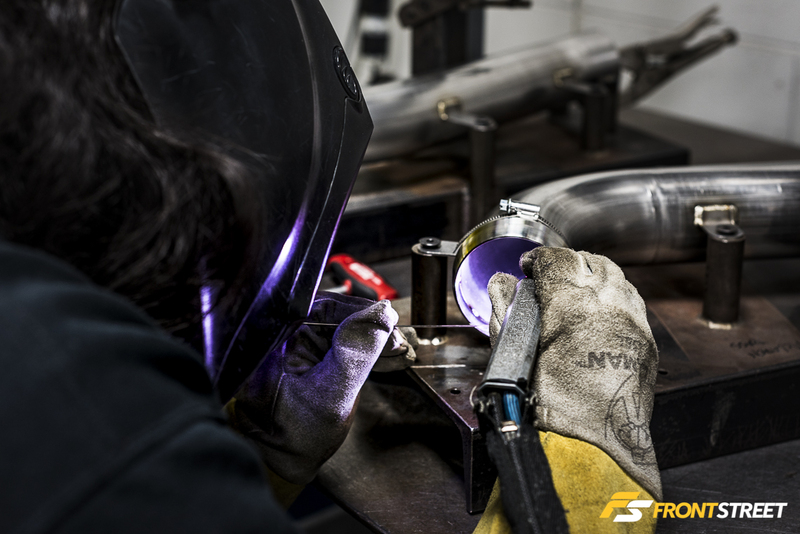 At a different fabrication table, another piece of exhaust is also being TIG-welded to finish off a complete part number. 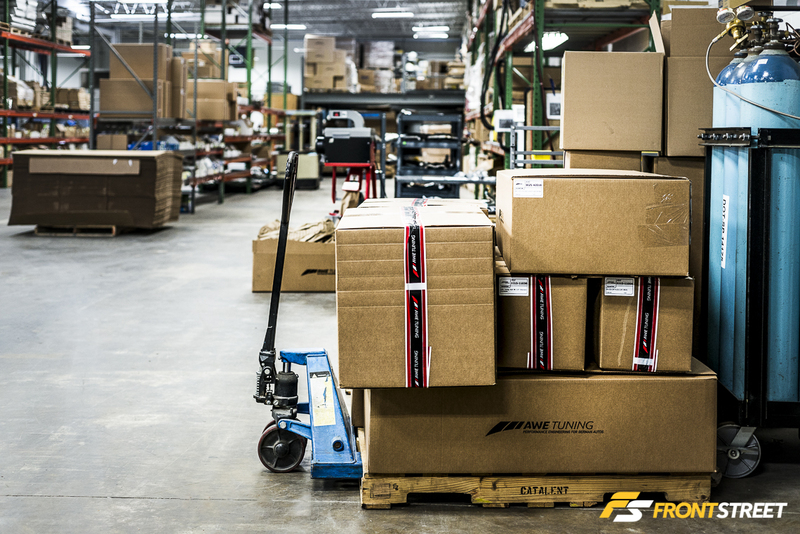 A section of the building is also dedicated to the packaging and shipping department. 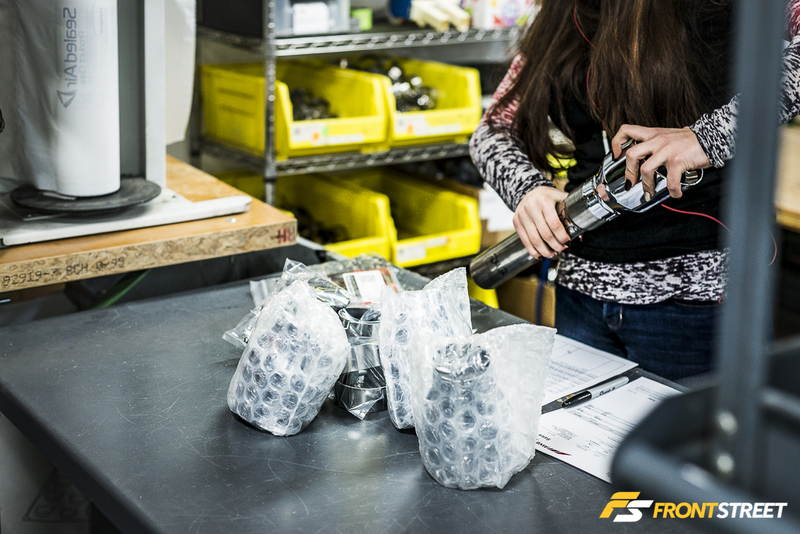 Here all of the pieces of an order are verified, packaged, and readied for shipment. 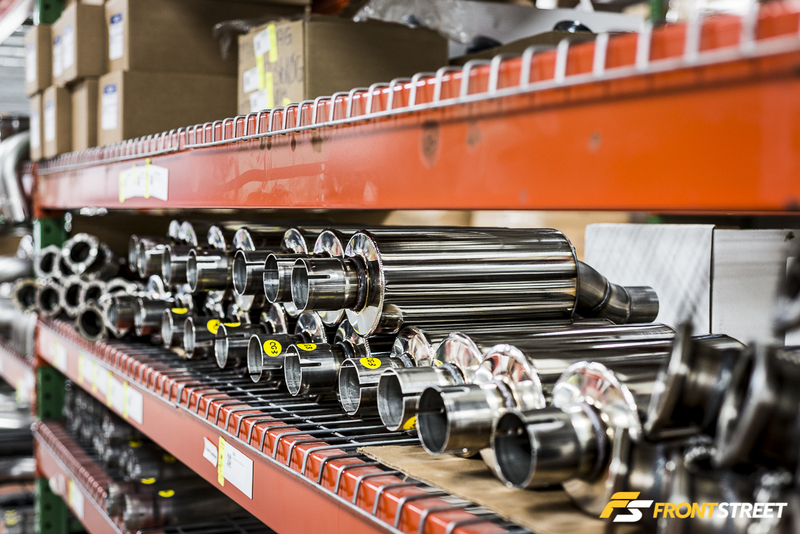 To speed up the production process duplicates of part numbers populate the shelves surrounding the shipping department, while they await their uncompleted counterparts. 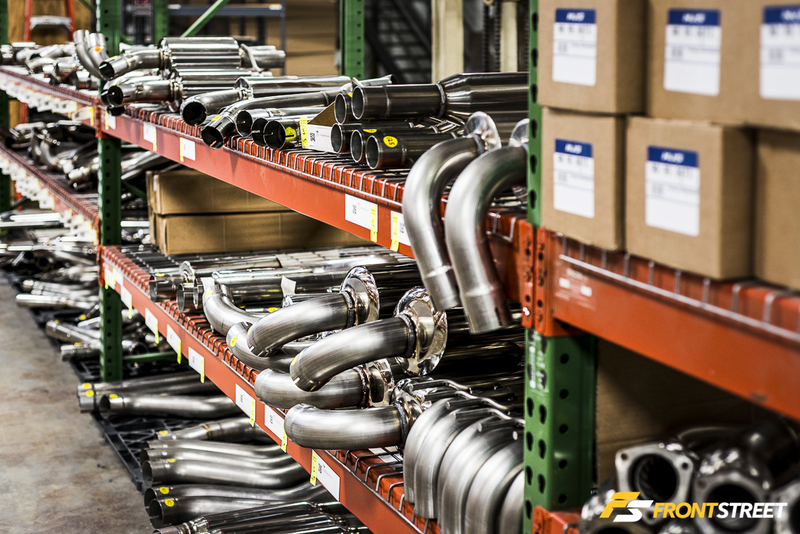 In addition to the tube bending and fabrication of their exhaust systems, AWE is also able to offer select chassis pieces CNC-machined in-house. 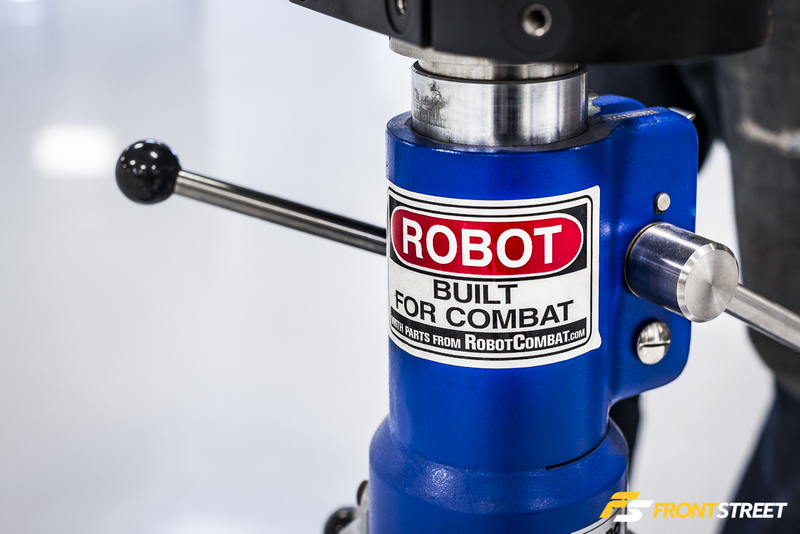 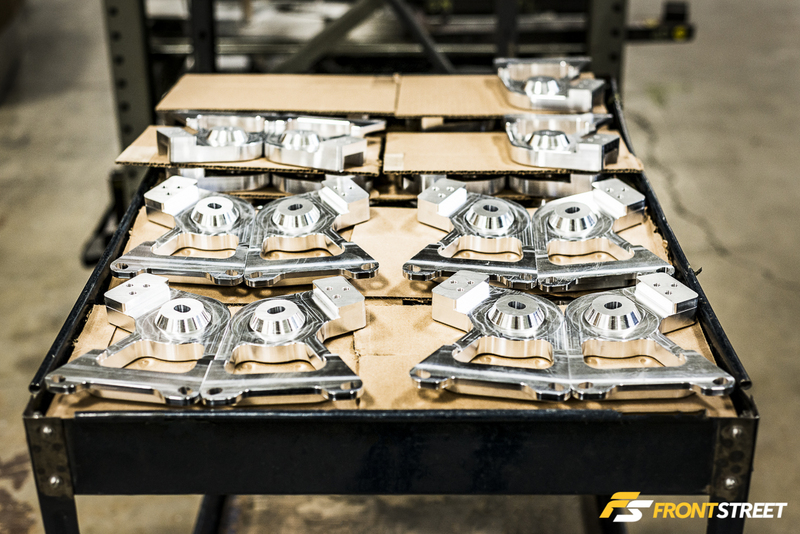 This T6-6061 aircraft aluminum is machined to reveal their finished stabilizer mounts. 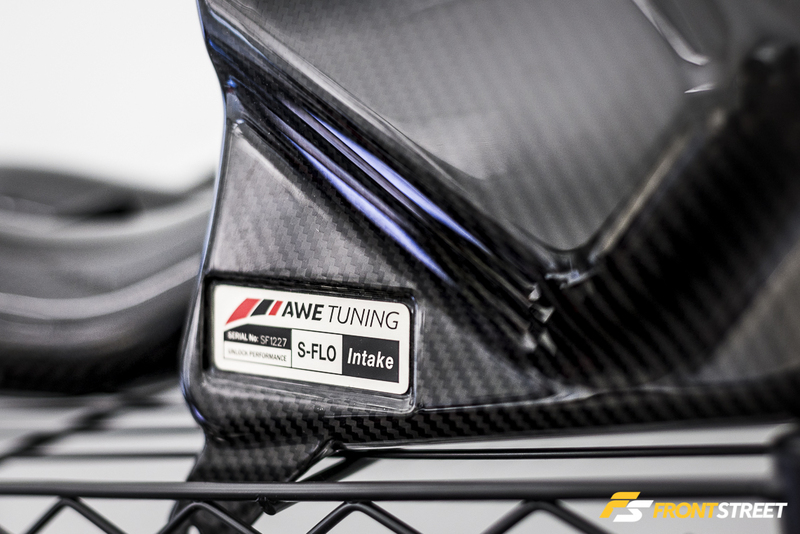 AWE Tuning also offers a line of carbon fiber constructed intake systems under the “AWE Tuning S-FLO Carbon Intake” name, for various applications. 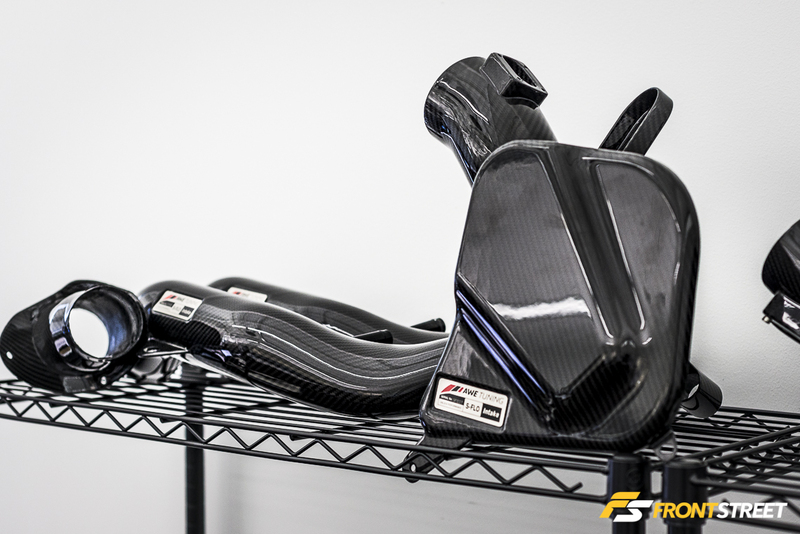 The engineers utilize a 3D scanned/printed version of the intake, which is then reproduced using carbon fiber material. 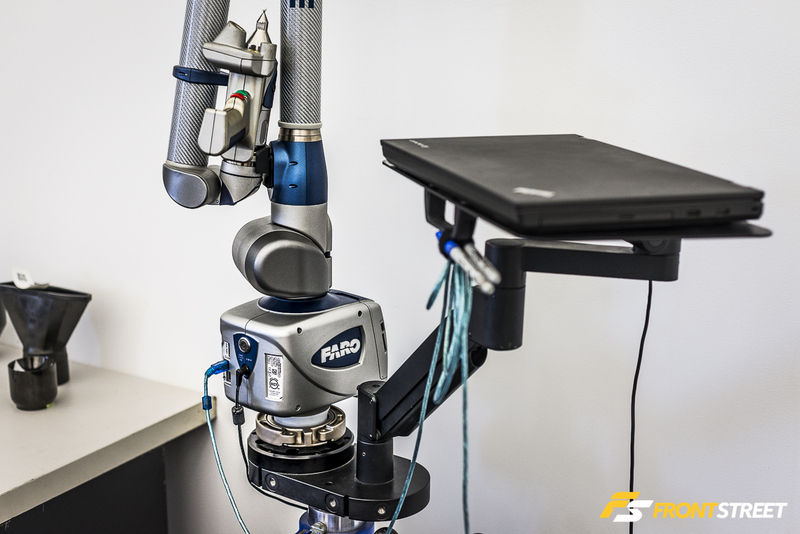 Their tool responsible for accurately measuring and digitally recreating every inch of available space on a car is this FARO Laser Scanner. 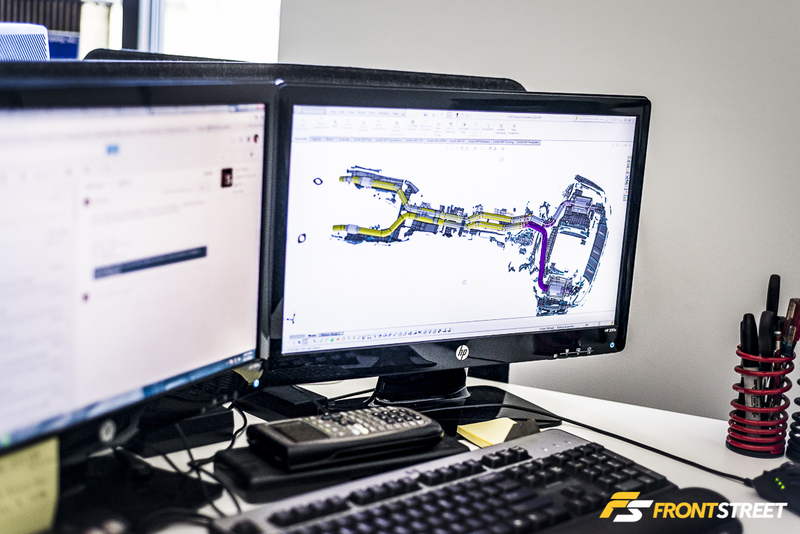 AWE’s engineering staff creates 3D scans of any potential intake/exhaust layout using this innovative tool. 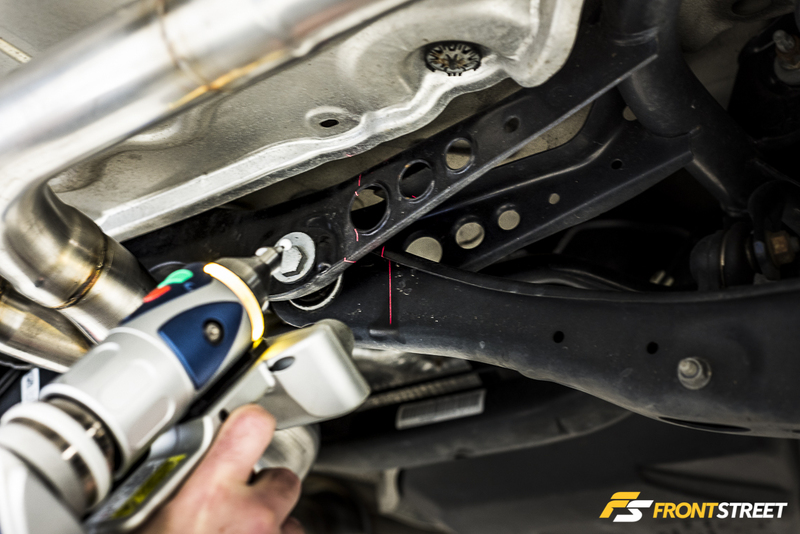 Capable of creating a digital scan of an engine bay for an intake system, or mapping the underside of a car for an exhaust system, this laser gives their staff the ability to see real-time representations/measurements from the comfort of their computer. 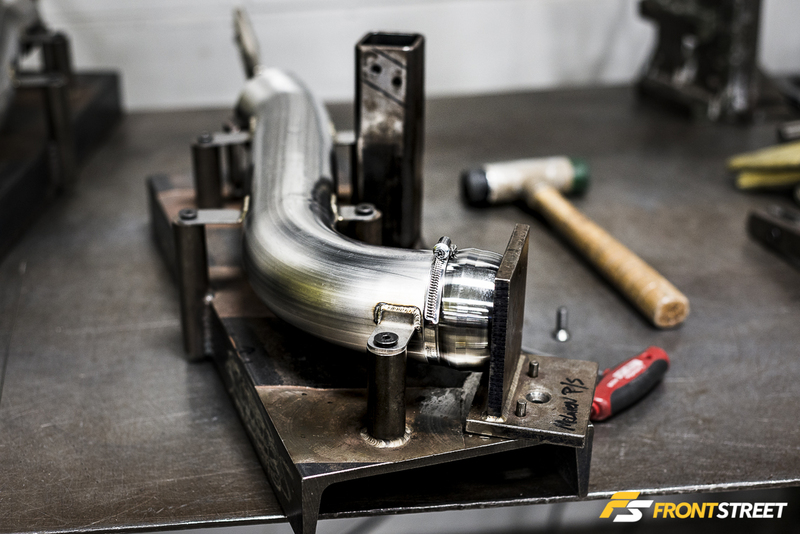 The scans are physically taken in the R&D bays and then transferred into 3D drafting software on a computer where the intake/exhaust configurations can be mapped out to ensure proper design and fitment for the end product. 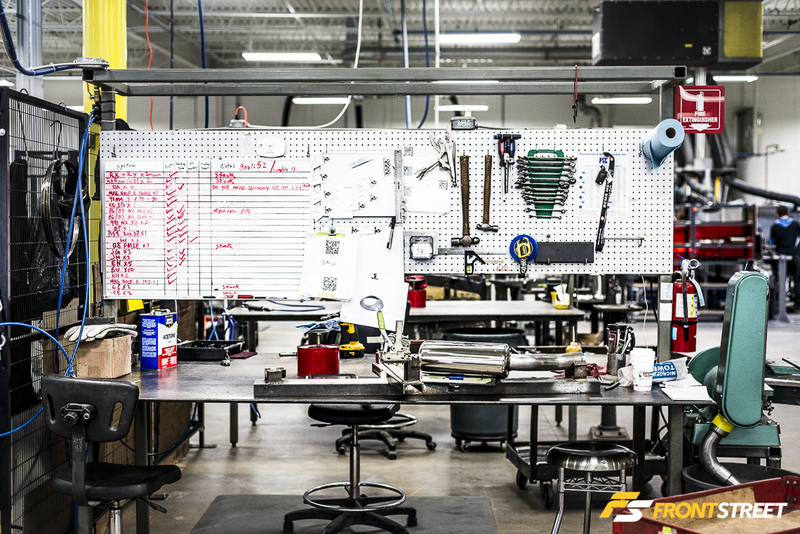 A crucial piece of the modern design tools in AWE’s arsenal. 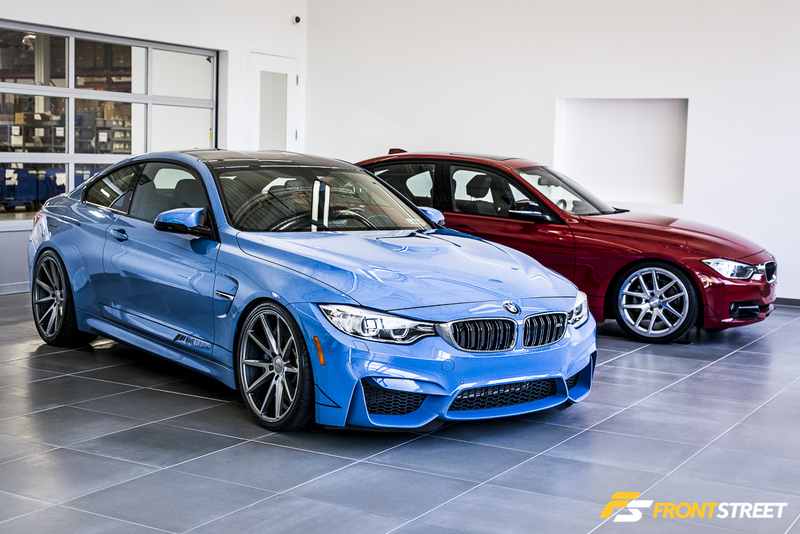 Exiting back out through their office, the glimpse of the F82 M4 leads you out of the building. 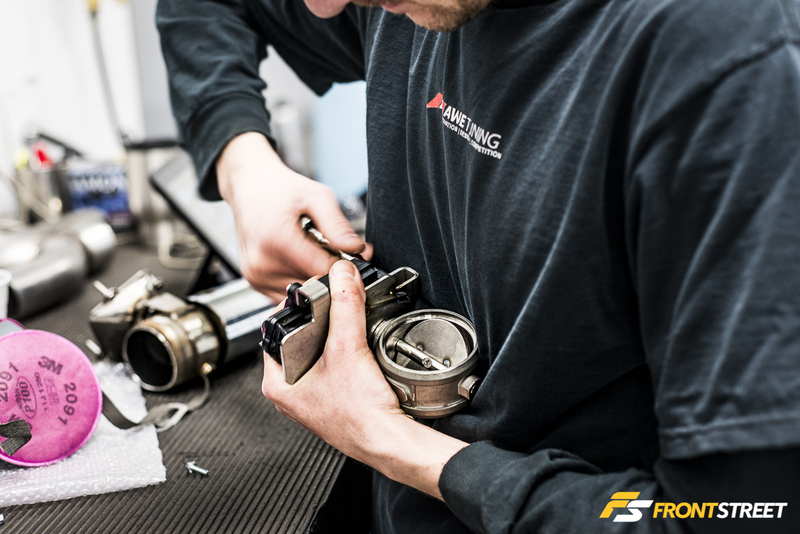 Due to this new facility, their constant assurance of perfect fitting products, innovative tools and machinery, and an ongoing modern outlook, AWE Tuning will continue to be a leader in European automotive performance products.